food blog – Girl Who Would be KING on Life, Style and INSPIRATION. Every single coffee shop offers this. 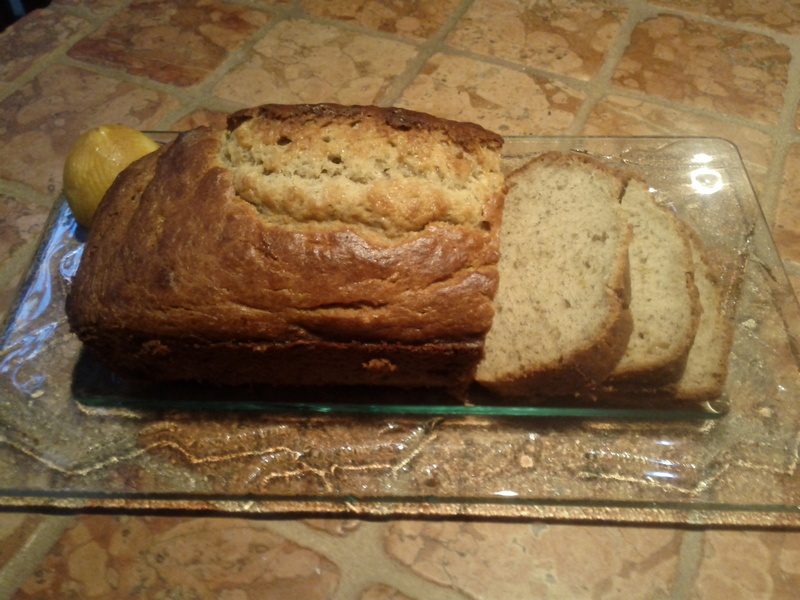 BANANA BREAD has to be one of the all time comfort loaves to accompany afternoon tea. It’s not quite a cake, not quite a bread and not really considered a conventional dessert but it’s always reliably satisfying and somewhat healthy as far as sweet things go. Make sure you use ripe bananas – it makes all the difference. 1/3 cup of unsalted butter at room temp. In separate bowl beat butter (adding a bit of the egg will make it easier to blend), add sugar a bit at a time beating after each addition. Beat in the rest of the eggs. Slowly add flour mixture, alternately with banana beating smooth after each addition. Turn into greased 9” x 5” X 3” loaf pan. Bake in moderate oven of 350 approx. 1 hour 10 min. or until done and toothpick inserted comes out clean. 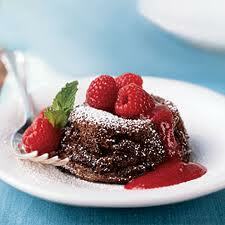 You can vary this recipe by using a bit less banana and adding some fruit like raspberries or blueberries. Or; you can omit the lemon zest and add 1/2 cup of chocolate chips. 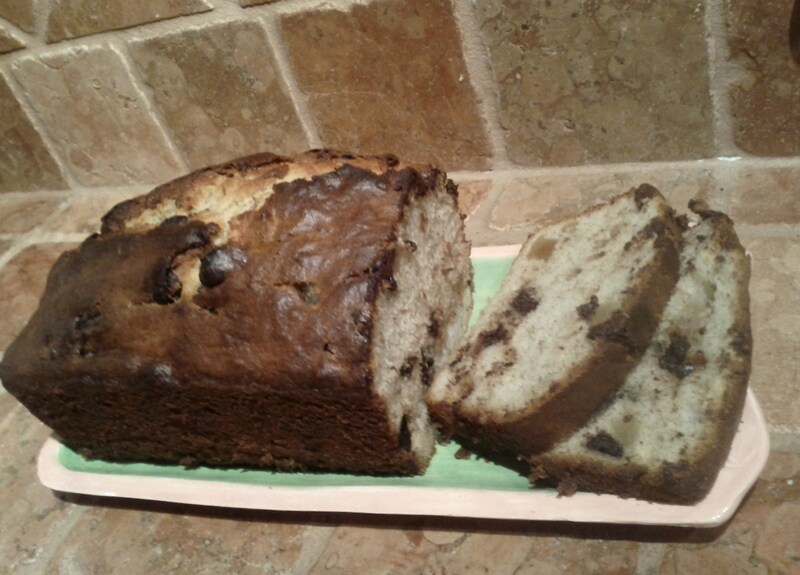 with dark chocolate chips, candied ginger & almond – my favourite. Try chopped up candied ginger chopped almonds and/or some organic almond extract with the chocolate. It freezes well and is always a good thing to have on hand for unexpected guests. 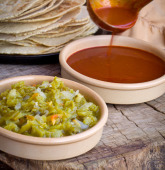 Basic Red Chile Sauce is one of the staple dishes of New Mexican Cuisine and can be used on lots of different dishes like enchiladas, burritos, tamales, etc. You can use it to season beef, chicken or fish for soft tacos or even in homemade chili. This is from the Santa Fe School of Cooking. *you can find Mexican Oregano (a little different than regular) at your local specialty market like Granville Island, etc. 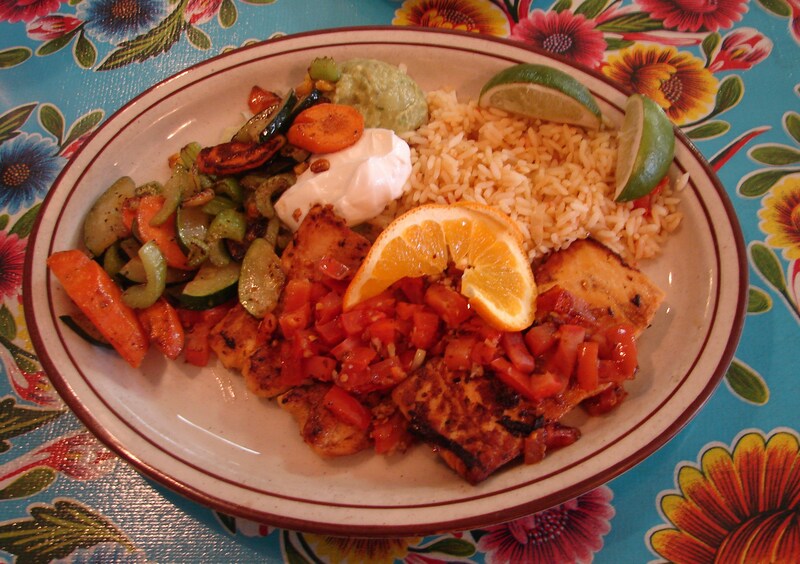 I had the spicy grilled wild caught salmon with perfectly grilled veggies, rice + guacamole. Homemade soft corn tortillas on the side. Excellent. 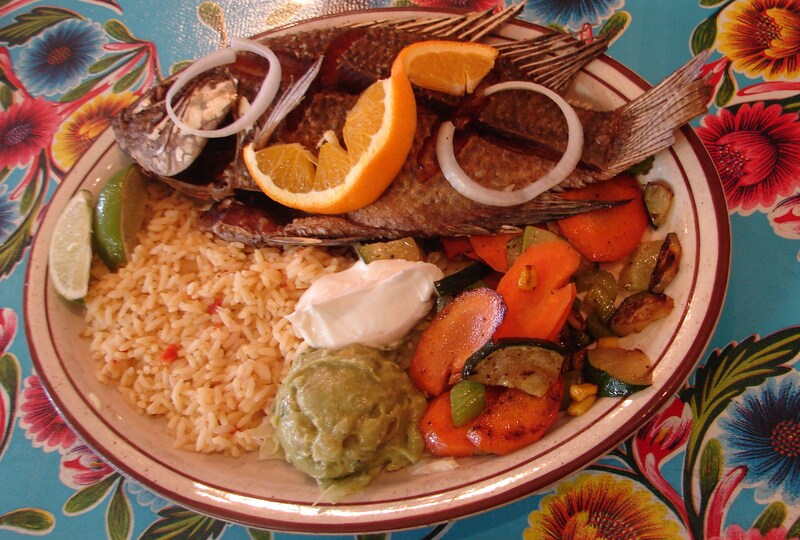 Don ordered the grilled whole Tilapia. The best since having it in Africa. Skins for JiaJia. 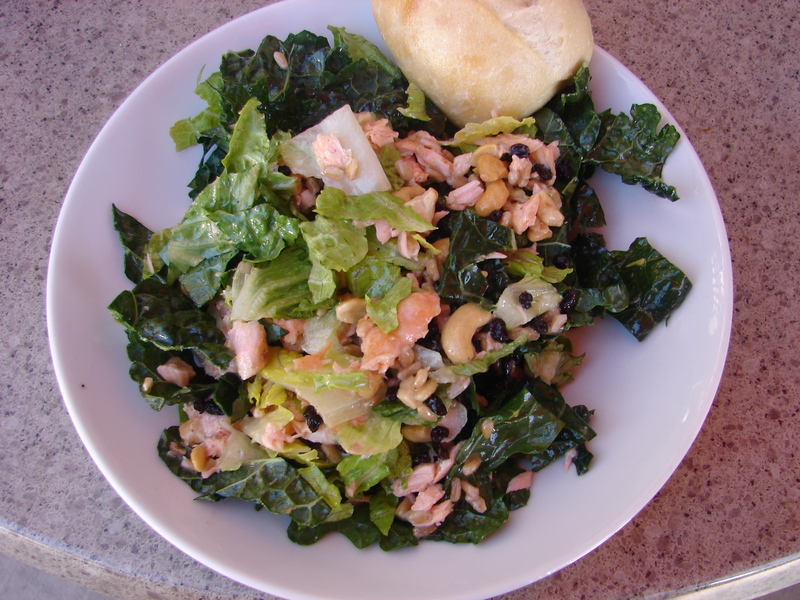 A delicious and healthy salad with kale & romaine lettuce mixed with currants, cashews and grilled salmon. Dressing can be pretty much anything you like but a honey mustard or a simple vinaigrette would be best. In any case I plan to eat more and more of these types of salads. As soon as I saw this recipe on a food blog I knew that it would turn out wonderful. Especially since I had orange flavored cranberries at home. I didn’t have brandy but substituted with over proof rum. Okay, so it was a little bit stronger but nonetheless tasted excellent. Preheat oven to 350 degrees F. Grease a 9-ince square baking pan. In a small sauce pan add cranberries and brandy (or rum). Warm through over medium heat, about 5 minutes. The brandy should evaporate. Turn off heat and set it aside to cool. Using a standing mixer, cream butter, sugar and orange zest until light and fluffy. Add egg and vanilla extract and beat until combined. Then add in milk and orange juice and continue mixing until combined. 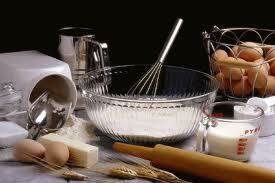 In a medium bowl whisk flour, baking powder and salt until combined. Slowly add in the flour mixture into the wet ingredients. The batter will be thick. 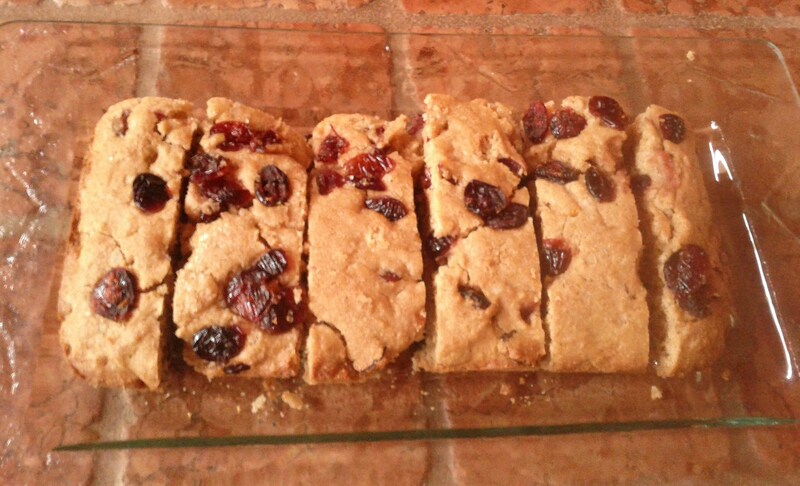 Fold in ¾ of the boozy cranberries into the batter and spread it evenly into the greased pan. Sprinkle the remaining ¼ of the cranberries on top. Then sprinkle some turbinado sugar evenly on top of everything else (batter and cranberries). Bake for 30-40 minutes or until toothpick/tester inserted into the center comes out clean. Let the breakfast cake cool in the pan on the cooling rack. 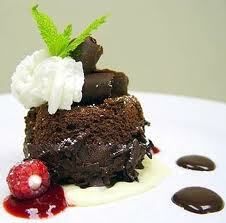 I’m declaring this NATIONAL CHOCOLATE WEEK in preparation for Valentine’s Day. Is there anything more satisfying than biting into a chocolate sensation? I didn’t think so. 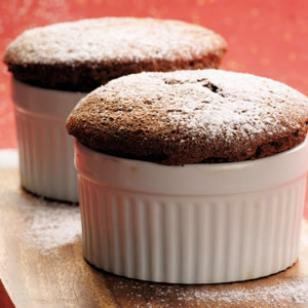 Follow this step by step guide to perfecting a scrumptious Chocolate Soufflé. Trust me, you will LOVE this one and so will your guests. Use 2 Tbsp. butter and ¼ cup sugar to liberally coat the insides of 6 one-ounce ceramic soufflé cups (or something very similar). Set aside. In a saucepan, melt remaining 2 Tbsp. butter with flour. Add milk and continue cooking until mixture thickens. Remove from heat, add chocolate and stir until melted. Meanwhile, beat yolks until creamy, then begin blending in chocolate mixture. Set aside. Beat egg whites with a pinch of cream of tartar until soft peaks form (you can tell when you lift the beater and it sticks to the beater making a little peak). Add remaining ¼ cup sugar, a small amount at a time. Fold half the whites into chocolate mixture. Then fold chocolate mixture into remaining egg whites. Transfer to soufflé cups. Bake in preheated 350 degree F oven for about 25 minutes. Serve immediately. 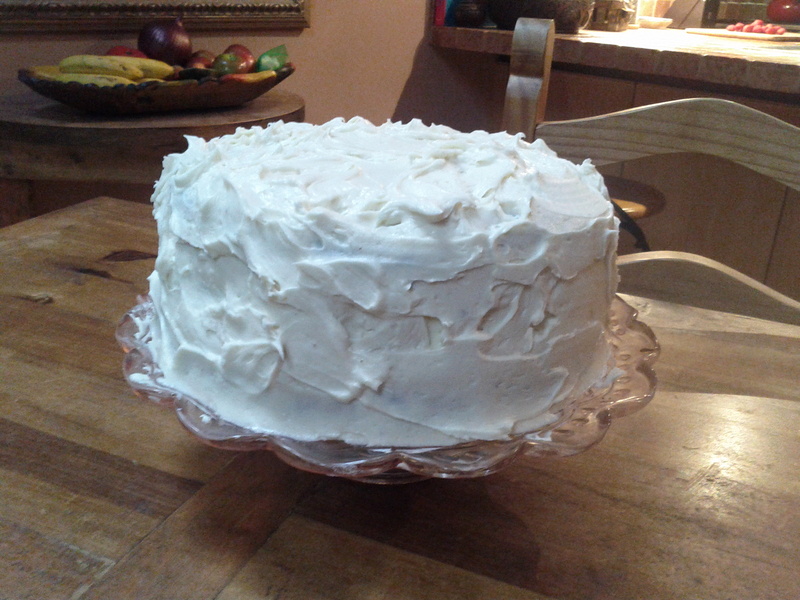 Baking calms the mind and feeds the soul, but all that buttery goodness can pack on the pounds. If looking to make healthier baked goods, omitting some or all of the butter from your favorite recipes greatly reduce the amount of calories, fat, and cholesterol in your sweet treats. There are countless ways to replace eggs in recipes, and here are healthier alternatives to using butter. These substitutes are great for vegan bakers too. Applesauce: Often used to replace oil in recipes, applesauce can also be used as butter alternative, and works best in cake-like recipes. Replace half the amount of butter in your recipe with applesauce; if the recipe calls for one cup of butter, use half a cup of butter and half a cup of applesauce. If you don’t mind a denser, more moist bread, replace all the butter with applesauce to cut even more calories and fat. Avocado: Substitute half the amount of butter in a baking recipe with mashed avocado (it works well with cookies); use the same method as you would when using applesauce. Using avocado not only lowers the calorie content but also creates a softer, chewier baked good, and is perfect if you want to omit the dairy. 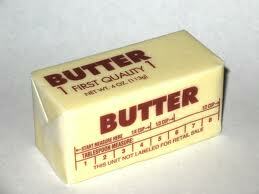 Earth Balance: Replace all of the butter with Earth Balance to reduce saturated fat and cholesterol. Using Smart Balance rather than Earth Balance will also save some calories, but note that Original Smart Balance contains whey, so it’s not vegan. Canola oil: In certain recipes, replacing butter with oil works well, especially if the recipe calls for melted butter. Fiddle with your favorite recipes to figure out when canola works instead of butter; when baking chocolate chip cookies, I’ve had success substituting half a cup of canola oil for half a cup of unsalted butter. Although slightly higher in calories, canola is much lower in saturated fat, cholesterol, and sodium. Greek yogurt: Replace half the amount of butter in your cookie recipes with half the amount of full-fat plain Greek yogurt. For example, if the recipe calls for one cup of butter, use half a cup of butter and one quarter cup of yogurt. You’ll reduce the calories and the saturated fat. Play around with using more yogurt and less butter to see if you still like the taste and consistency. Here are more ways to use Greek yogurt in baking recipes. Prune purée: Often used to help little ones stay regular, prune purée also makes a low-calorie and low-fat alternative to butter. Whatever amount of butter the recipe calls for, replace it completely with store-bought baby food prune puree (unless you have time to make your own; just purée prunes in the food processor). This option works well in recipes that involve chocolate and cinnamon. I was recently taken out for dinner to La Cigale French Bistro where a friend ordered a starter of endive salad with walnuts and crumbled blue cheese that tasted divine. Unfortunately for this friend three of us dove into his plate & attacked the salad….then decided to order one for ourselves. Did not ask for the recipe but I do know that…. Cioppino’s Mediterranean Grill has had a very similar salad on the menu since it opened in 1999. My birthday dinner there a few years back was very memorable and owner/chef Pino Posterero made a visit to our table to check on our meal. He says the secret to the success of this salad is in the vinaigrette which is simple to make, yet has a complex flavour. Crumbled Stilton (preferably) or blue cheese (about 2-3 oz) or 80g. Crumbled walnuts (this is not part of original recipe) but I think it would be a nice addition. 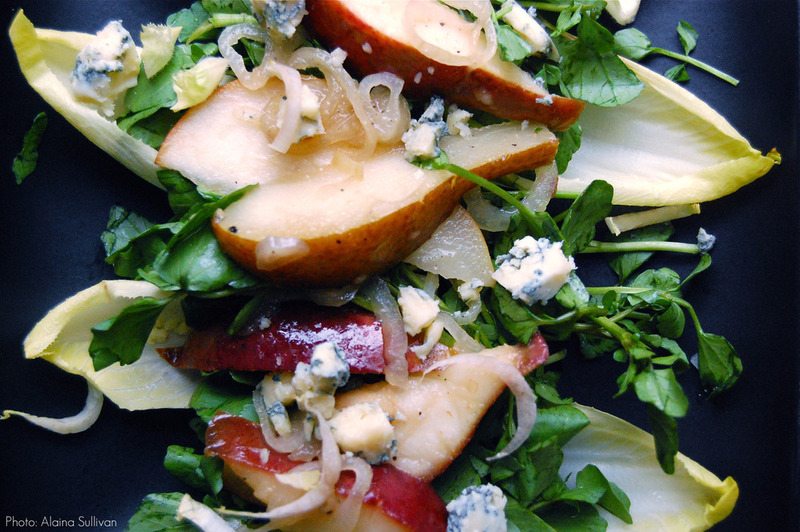 In a mixing bowl, combine salad greens, Belgian endive and pear. Add vinaigrette and toss lightly. To serve, divide the salad among four plates and sprinkle Stilton (& optional walnuts) on top. In a mixing bowl, combine lemon juice, honey, white wine vinegar, Dijon mustard and shallots. Whisk in olive oil gradually until well emulsified. Season with salt and pepper. It will keep refrigerated in an airtight container or glass jar for up to one week. Makes 500 ml. Makes 4 servings. This would make a beautiful side to fish, pasta or almost any dish. This FRESH HERB Chimichurri is what is commonly used for steak sauce in Argentina and there’s a good chance it may make you leave your regular one behind. Make it in a blender, food processor or with a mortar. But whatever you do don’t do as I once did camping where chopping everything up by hand with a not too sharp knife became very time consuming. You can make this a few hours or even a day ahead so the flavors really start to meld. To be enjoyed on steak, fish, chicken, macaroni even sandwiches. Cut all ingredients as small as humanly possible to make a nice rustic sauce, or better yet pulse in blender or food processor a few times. 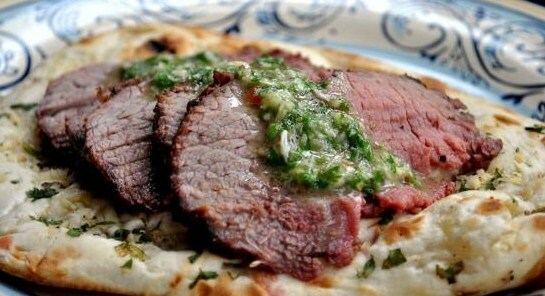 Best served with grilled skirt steak. Cut meat across the grain into thin slices and serve with sauce in between slices. Send me your feedback after you make it. 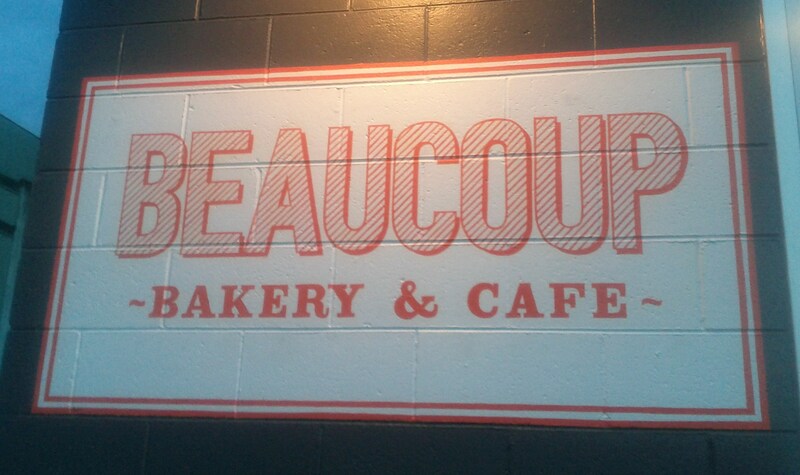 Scene in the City – Merci Beaucoup…. FOR the most deliciously delectable peanut butter cookies I’ve ever tasted – oreo sandwich style with peanut butter in the middle and the cookie a shortbread like texture but not crunchy or too chewy – just perfect if you’re a connoisseur of peanut butter cookies. I went on opening day but by the time I arrived by late afternoon there was nothing left except for some brownies and these peanut butter cookies. They didn’t appeal to me at first but after tasting them I’m going to attempt to copy make them at home to see how they measure up. 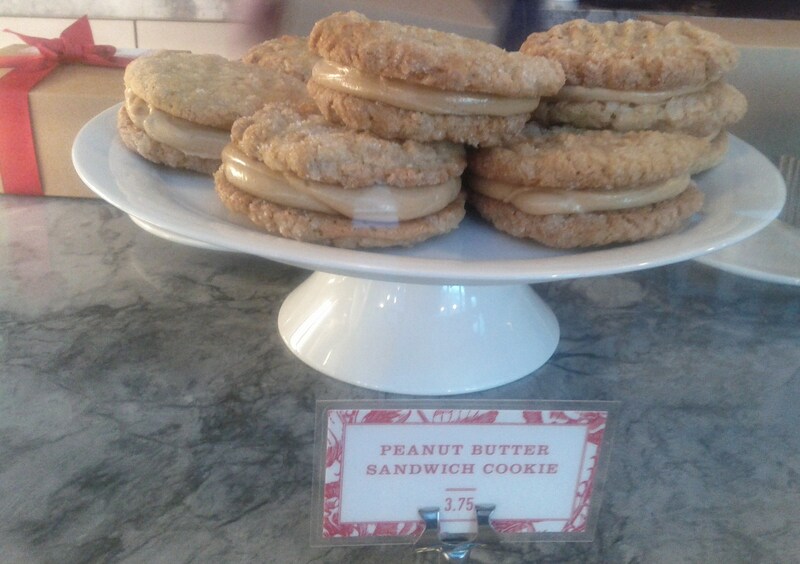 I’ll start by making my normal batch and sandwiching peanut butter in between & get back to you later on it. Because at $4.00 per cookie including tax (although worth it) I could go broke. 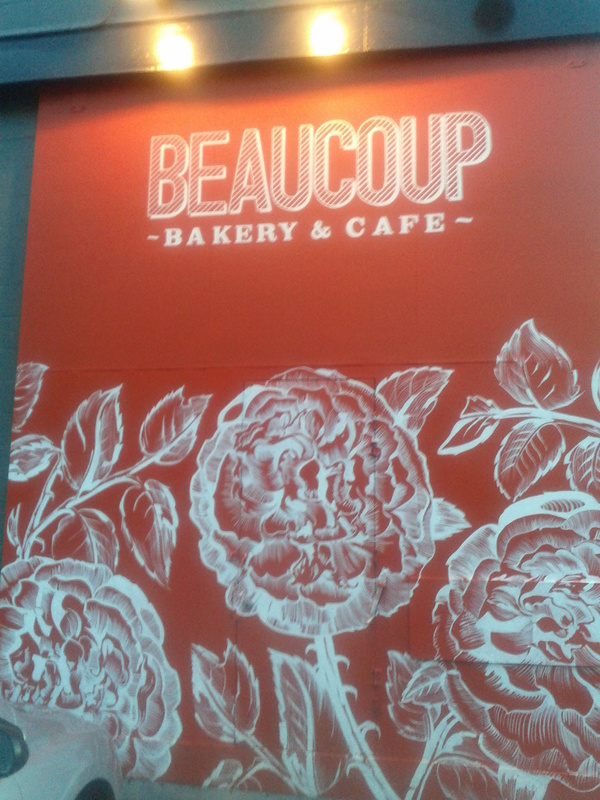 FYI they sell other stuff like bread & coffee which could also become addictive. Oui, Oui. These cookies are one of the easiest to make and everyone loves them. They have a buttery shortbread like consistency and as cookies go….well they’re kind of a healthier version using walnuts which are a rich source of omega 3 fatty acids. The combination of walnuts and jelly are rich and they just melt in your mouth. Assembling: Cream butter with sugar and yolks, then add flour, vanilla and salt. Roll into tiny balls. Slightly beat egg whites and dip the balls in them, Then roll in finely chopped nuts. Here’s the fun part: make a thumbprint indent on each cookie. Bake on a greased sheet at 325 until done, about 10 minutes. When cooled, top with jelly in the indent. You can always sprinkle a little sanding sugar over top to make them more Christmasy. Enjoy!